Located at a distance of 5.5 km from the Kodaikanal Lake, the Green Valley View not just offers a gorgeous view, but is also surrounded by a lot of monkeys. On the way to the point, there are several shops which offer homemade chocolates, ornaments and a wide range of flowers. Famous For: Tourism, Photography and Scenary. Entrance Fee: No entry fee required for entry to this point. Visiting Time: It is open on all seven days from 7:00 a.m. to 6:00 p.m.
Visit Duration: People spend around 1 hour in this place. Any guesses made from the title itself? A misty view of the Vagai dam, standing in the city of Kodaikanal and enjoying nature’s beauty at its best, this is exactly why people visit this place in Kodaikanal. It appears to be like a secret revealing site where people are generally stunned by its stunning view. Try to visit the place during 10:00 a.m to 3:00 p.m since it would give you a clearer view. Morning and evenings are generally misty. It’s better to maintain safety, since the view point ends at a point which is 5000 ft from the ground level and so this point is also known as the suicide point. Many small shops located on the way to the point, they sell various special items like Eucalyptus Oil, Ooty Tea Powder, Chocolates. The nearest airport to the Green valley view point, kodaikanal is Madurai Airport which is at a distance of about 120 kilometers. 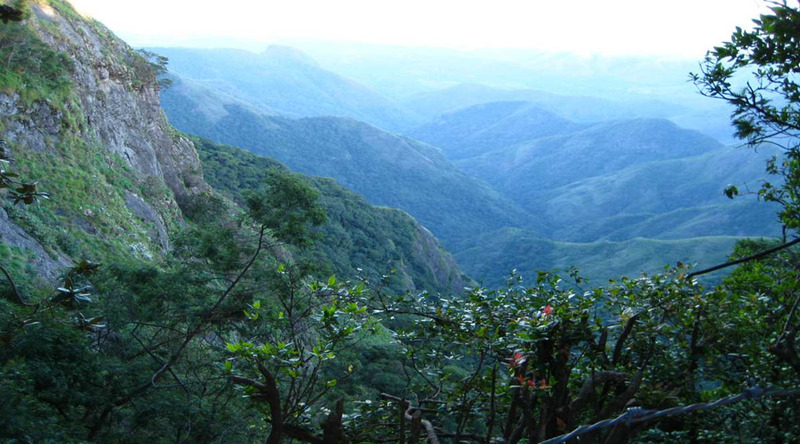 From there, you can take a bus or book a cab to reach the city of Kodaikanal. The point is in proximity to the Kodaikanal bus stand. The transportation facilities are smooth and this being a famous tourist place one wouldn’t face any transport related problem at all. If you are planning to travel by train, the closest railway station would be Kodai road which is a distance of 80 kilometers. If you are planning to visit Kodaikanal, which actually has ample number of tourist spot, then make sure to have this spot on your list. This view point is an epitome of serenity and beauty with a touch of the mystery of nature. This place is sure to give you some peaceful hours spent in the lap of nature, something which you surely don’t get in your daily messy scheduled corporate lives. Enjoy the panoramic view, perhaps the best in your life.